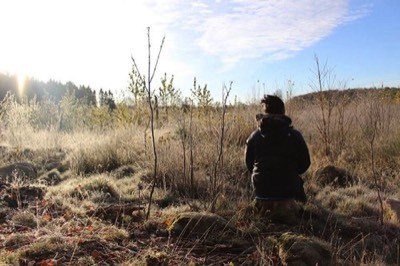 After completing a foundation course (Call of the wild) in Environmental education with Wildwise and Schumacher College in Devon, I'm excited to be exploring the meeting of Focusing, Nature Connection. Our body is nature, and is not separate from the natural world. 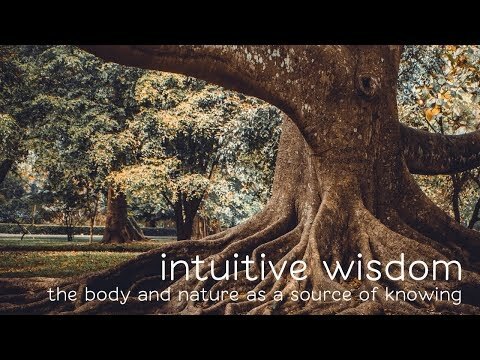 Not only can we find wisdom inside our bodies but we can find it in our relationship to nature. As we listen within, we can also listen without. Perhaps like parts of inside call for our attention, the world calls for us to be with it. For thousands of years, people have walked the land with questions in their hearts. They listened and opened to what we could call their intuitive wisdom. This walk will offer you a chance to learn how to access this intuitive or bodily knowing. Most of our lives are driven by our intellect and "strategic" mind, but what does your body know about your life? Through reflective practices based on "Focusing" and mindfulness we will open up new doorways to our intuition. We will find new answers to old issues and we will find ways to listen afresh to ourselves, each other and the natural world. We will send time alone, in pairs and as a group. How to meet the natural world , not from your mind but with your body. Facilitated by me and Andy Raingold from "Change in Nature"
This links you to the bookings page at "Change in Nature"
Facilitated by me and Marianne Brady from "Mindfulness-West"
What does it mean for you to be alive? What can we feel when we let go or our "strategic mind" and open to what we do not know? What happens when we open fully to the mysterious nature of being aware and being human, here in this time and place and at the same time connected to all of life around us? What does your body know about this? Suitable for: open to anyone who knows focusing.